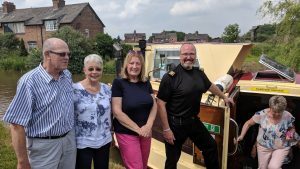 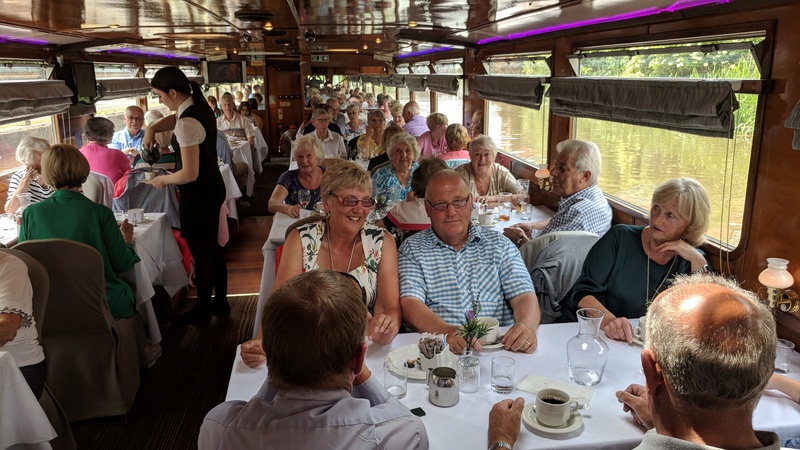 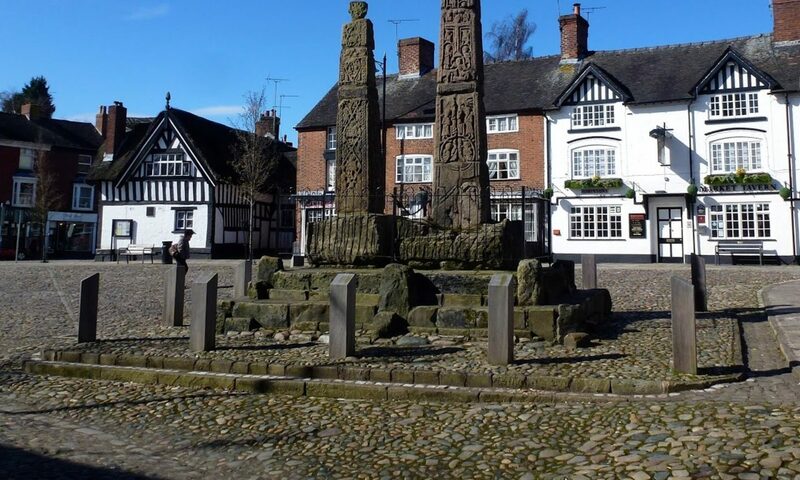 Beautiful weather set the scene for an exceptional day in Chester which saw the Lunch Club board a canal boat at The Mill Hotel for lunch which was served on board as we sailed. 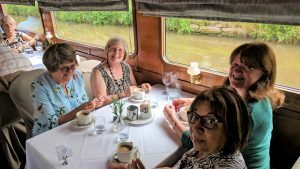 Between courses we alighted at a lock to watch a colourful canal boat pass through. 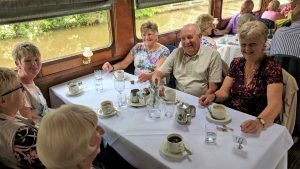 Back on board we celebrated Ray Collins’ 94th birthday with a toast, candles and cake. 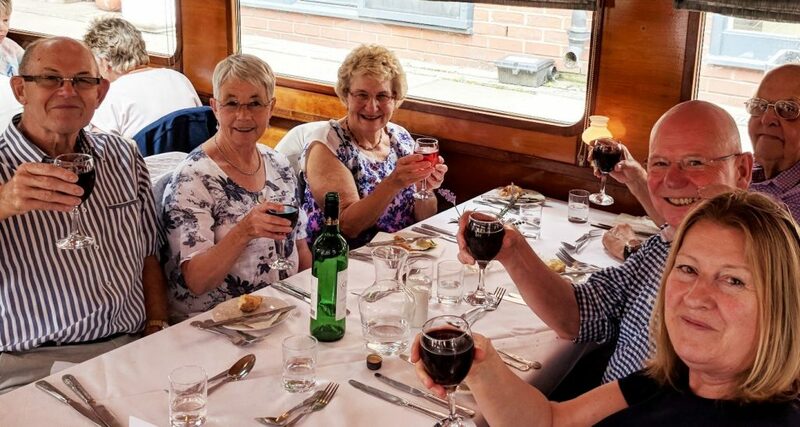 Everyone agreed it was a thoroughly enjoyable day.